Built in 106 examples between 1992 and 1998, the McLaren F1 is now arguably the most valuable production car sold in the 1990s, with many units changing owners for millions of dollars. First, it was by far the most innovative supercar of its era. It was lighter and more powerful than anything else in dealerships at the time, it was the first production car to feature a carbon-fiber monocoque and a center-mounted driver’s seat. 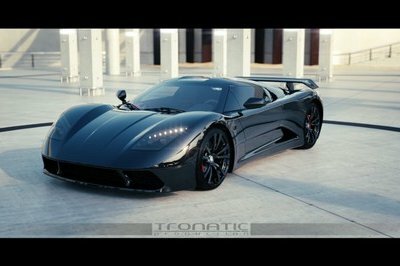 Second, it was the world’s fastest production car for no fewer than 12 consecutive years, at 240.1 mph. Bugatti had to build a quad-turbo monster with more than 1,000 horsepower to defeat it. Third, the F1 spawned numerous road-legal and racing versions, with most of them considered a lot more valuable than the standard car. One such model is the F1 GT, of which McLaren built only three examples in 1997, only half the production output of the 1995 McLaren F1 LM. 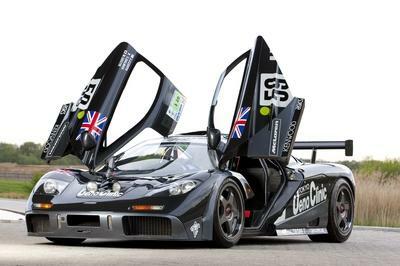 The GT was actually the final incarnation of the road-going F1, developed as a homologation special for the race-spec 1995 - 1997 McLaren F1 GTR used throughout the 1997 FIA GT Championship, among other racing events. The GT is the rarest F1 ever built. 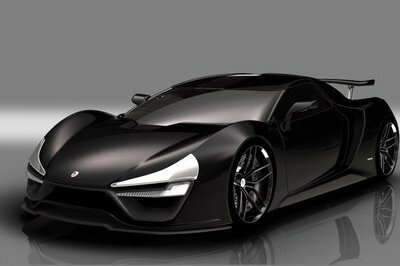 Keep reading to find out what makes this supercar special. 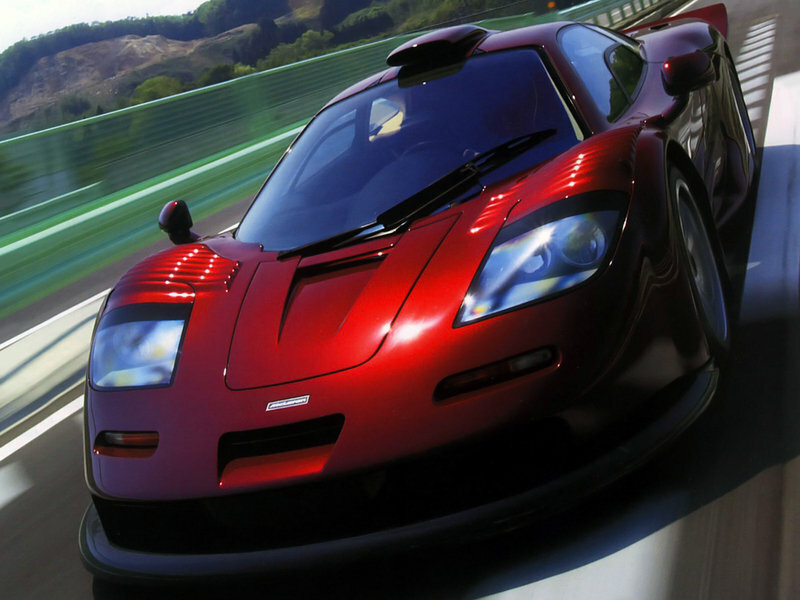 Continue reading to learn more about the McLaren F1 GT. 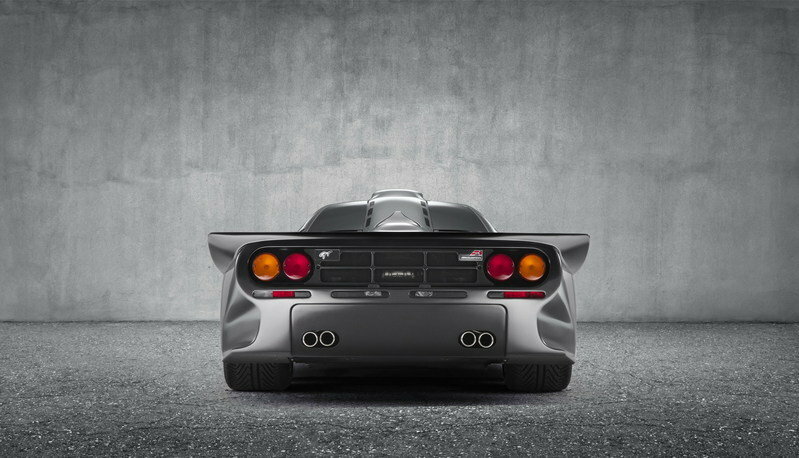 As a homologation car, the F1 GT was identical to the 1997 F1 GTR sans the racing livery and the massive rear wing. The GT came as a necessity, as McLaren was forced to make extensive modifications to the initial F1 GTR in order to cope with competition from Porsche and Mercedes-Benz. The modifications were so broad that McLaren had to homologate the new race car, which at the time, meant that it had to build at least one road-going example. Mostly stock on previous race cars, the F1’s body was completely redesigned for 1997. 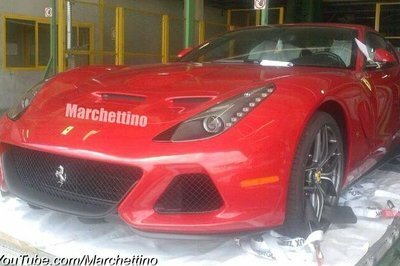 Modifications included much longer nose and rear sections, wider fenders, a spoiler integrated into the rear fascia, and a bigger wing. All these changes were made to increased downforce and reduced drag, making the F1 faster, especially at Le Mans. 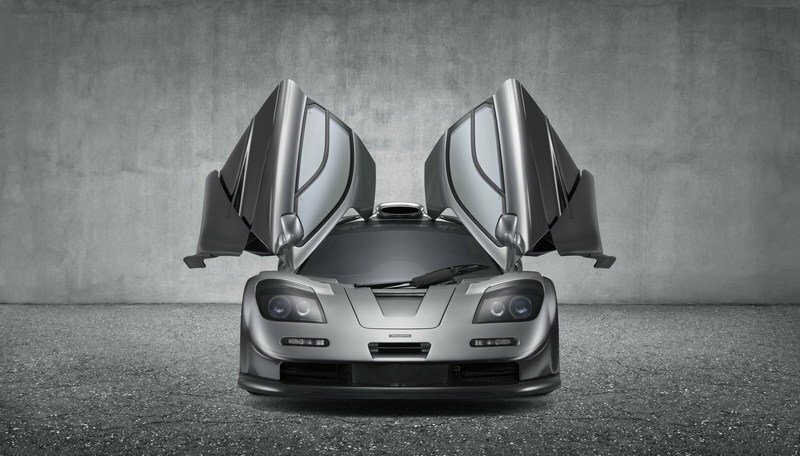 To feed more air into the engine, McLaren also enlarged the roof-mounted snorkel. Under the wider, vented fenders there were larger 18-inch alloy wheels. Because McLaren found that the downforce generated by the longer tail was sufficient for a road car, the GT didn’t receive the GTR’s large wing. It’s for this particular reason that the GT is known as the F1 Long Tail. 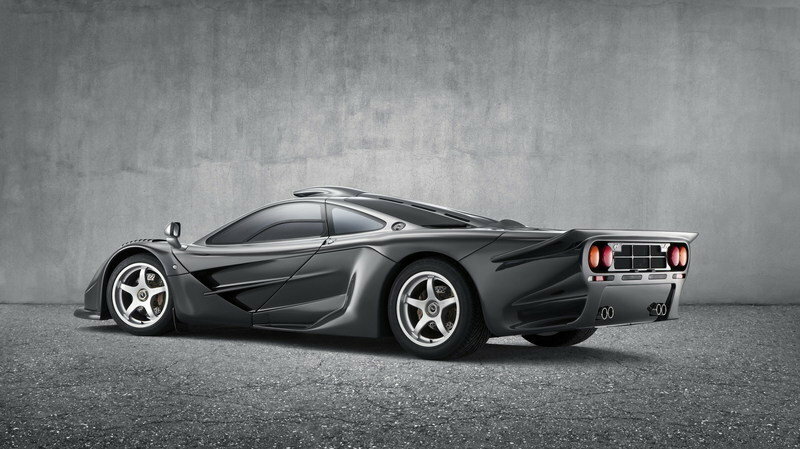 Overall, the GT was over two feet longer and over four inches wider than a standard McLaren F1 road car. The F1 GT’s interior wasn’t too different from the standard car. Although it received a racing steering wheel instead of the standard unit, it kept the passenger seats, which were removed from the GTR race car, as well as most of the amenities available with the original supercar. Under the hood of the GT lurked the same 6.1-liter V-12 unit developed by BMW and shared with the BMW V12 LM and LMR race cars. Though a stroke reduction brought the GTR’s V-12’s displacement down to 6.0 liters in an attempt to prolong its life and enhance reliability, the GT kept the standard unit rated at the same 627 horsepower and 480 pound-feet of torque as the standard F1. This made it more powerful than the race-spec GTR, which was required to run air restrictors that limited its output to 600 horses. 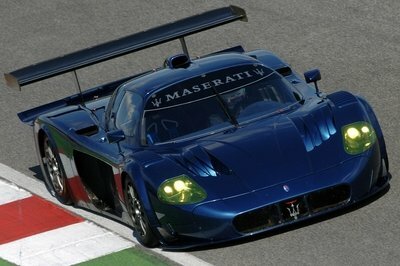 The reshaped body not only made the F1 GT more menacing to look at, but a lot quicker too. Charging from 0 to 60 mph took only three seconds, while 0 to 100 mph came in 6.1 seconds. The standard F1 achieved these benchmarks in 3.2 and 6.3 seconds, respectively. The Long Tail’s top speed, on the other hand, was estimated at 206 mph, far off from the original F1’s record-breaking 240-mph rating. The same six-speed manual gearbox was in charge with sending the power to the rear wheels. Although McLaren initially intended to produce just one road car to fulfill the FIA’s homologation requirements, two more GT road cars were built to satisfy customer requirements. The company never divulged pricing information for the GT, but given the standard F1 sold for around $1 million in the mid-1990s and that race-spec GTR cars were significantly more expensive than that, it is safe to assume the two customers paid in excess of $1.5 million for their Long Tails. As far as current value goes, two customer GTs haven’t been auctioned or sold recently, while the original homologation car, dubbed "XP GT," is still owned by McLaren and kept at the company’s Technology Center in Woking, England. It’s probably safe to say that a GT would change owners for more than $10 million in 2015. As Porsche’s main weapon for top-level sports car racing, the 1995 - 1999 Porsche 911 GT1 also spawned a road-going version. Dubbed the 1998 Porsche 911 GT1 Strassenversion, it arrived with a detuned version of the race car’s 3.2-liter flat-six. The unit cranked out 544 horsepower (the race car had nearly 600) and used a six-speed sequential transmission to send power to the rear wheels. Significantly less powerful than the F1 GT, the 911 GT1 was also notably slower, needing 3.8 seconds to hit 60 mph, while its top speed stood at 191 mph. Despite using the 911 moniker, the GT1 had very little in common with the iconic sports car, sharing most of its components with the 962 racer. 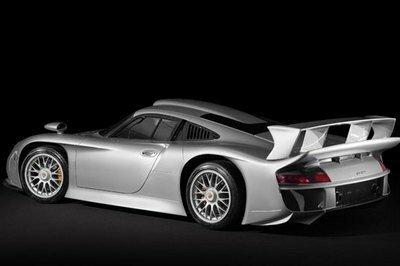 Porsche built 20 911 GT1s for select customers. These street-legal race cars usually change owners for more than $1 million. Read more about the 1995 - 1999 Porsche 911 GT1 Strassenversion here. Specifically built for the 1997 FIA GT Championship, which it dominated in its maiden season, the 1998 Mercedes-Benz CLK-GTR was also made available as a street car in order to comply with FIA rules at the time. Mercedes built 26 cars, including six roadsters, with added comfort creatures such as a leather interior, an air conditioning system, two small storage lockers underneath each door, and traction control. Power was provided by a 6.9-liter V-12 derived from the race car’s 6.0-liter unit and tuned to deliver 612 horsepower and 572 pound-feet of twist. The company claimed 0-60 mph sprint of 3.7 seconds and a top speed of 199 mph. The CLK-GTR was the most expensive production car ever built at the time, with a price of $1.54 million. 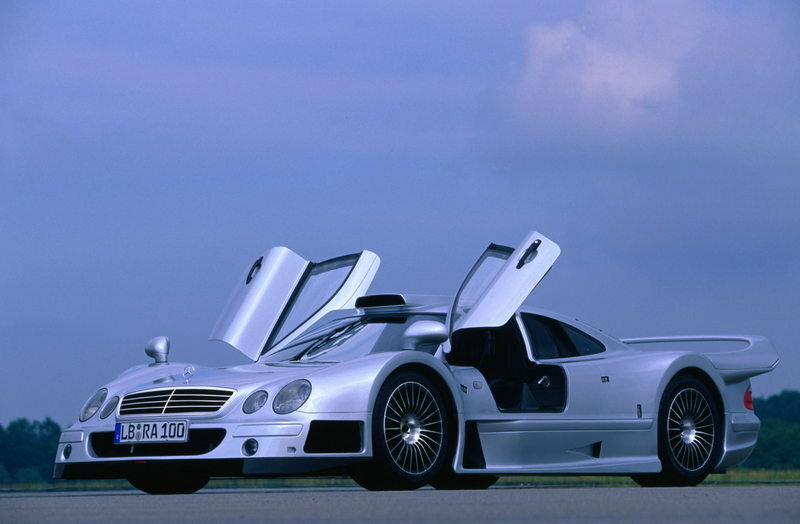 Read more about the 1998 Mercedes-Benz CLK-GTR here. Like most limited-edition supercars with outstanding performance figures and a world record in the bag, the McLaren F1 is tough to buy nowadays without a lot of luck and at least six million bucks in your bank account. If you want an example that’s been maintained in good shape, that is. Simply put, the process of buying an F1 can trigger a lot of headaches, even if you have the dough. But at least you have a better shot at finding one, because the F1 GT is basically impossible to get. McLaren likely won’t part with the prototype anytime soon and it seems that the enthusiasts owning the other two car aren’t willing to sell them either. All told, you’ll have better luck at buying any other Ferrari built in the 1990s, which says a lot about the allure and value of the F1 GT.